Just days after Google’s public unveiling of Project Stream, it seems that Microsoft is right behind them. After hinting at it during this past year’s E3 press conference, the green team officially unveiled Project xCloud. With this new service, Microsoft promises that gamers will be able to play Forza, Gears, and Halo anywhere. You’ll just need a Bluetooth controller or a pair of thumbs to pilot a touch interface. Xbox head Phil Spencer even made a point to mention that the service would support third-party experiences such as Red Dead Redemption. The above trailer showcases that the service is already up and running for internal testing. 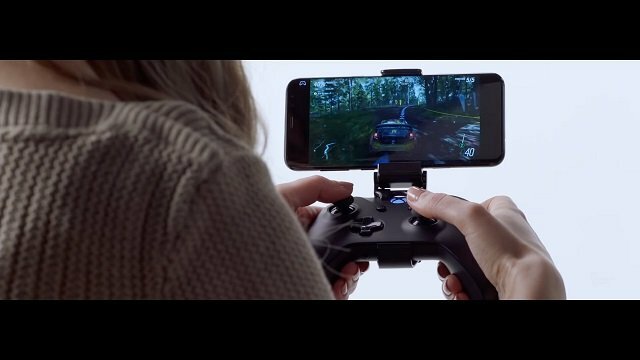 Using a phone clip, we see someone playing Forza in a form factor not dissimilar to Nvidia’s dearly departed Shield Portable. The video also makes clear that the Xbox One will remain as a “flagship” experience. The xCloud service is not a replacement for traditional Xbox consoles. It’s stretching an arm out to those gamers who wouldn’t normally drop hundreds of dollars on a dedicated gaming machine. We’ve even seen some hints that Microsoft’s service will expand to other gaming devices. Nothing official as of yet, but inside reports state that an xCloud app could be coming to Nintendo’s Switch platform. This would follow along from Microsoft and Nintendo teaming up for an advertising campaign which put the pressure on Sony to allow crossplay on the PlayStation 4. Either way, it looks to be an exciting time to get your non-gaming compatriots into your next Rainbow Six Siege excursion.